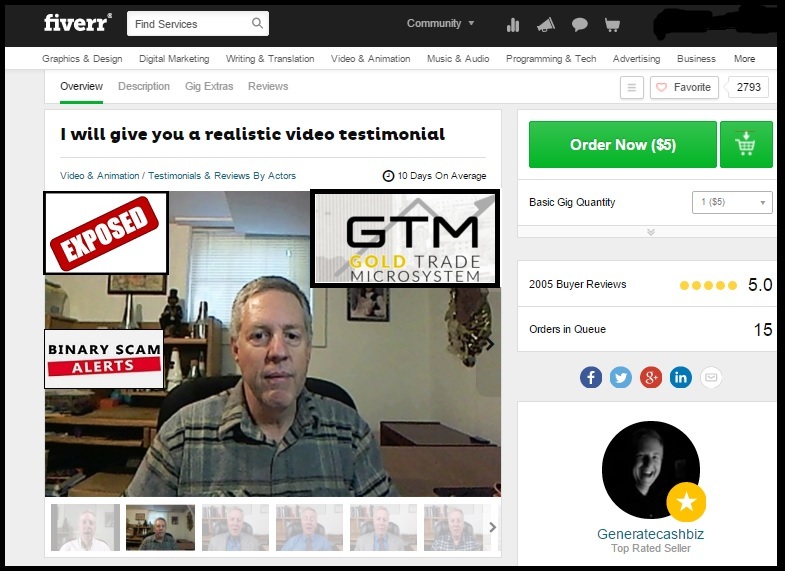 If you have searched the internet and looked for honest reviews about the Gold Trade Microsystem (GTM) and Professor Justin Hudson, you will soon find out just how big of a scam this binary options deception really is. Our staff has conducted a full review and investigation of this fraudulent app, and reached a few extremely disturbing facts about this software. Professor Justin Hudson is a second rate Fiverr.com actor called Generatecashbiz. You don’t need any more proof than the pictures below and his public profile to understand where you have landed. Honestly, this is such an obvious scam and deception that it’s kind of pointless to continue. I almost feel like I’m using these affiliates as punching bags because it’s so easy to expose them, it’s almost embarrassing how many mistakes they make and how simple it is for someone with a trained eye to catch them red-handed. The next giveaway is the fake logos that don’t really lead anywhere or do anything. I don’t really think there’s any point in expanding more on this, so lets see what other kinds of shenanigans these cyber bandits are up to. I Don’t think it’s really software, from what I understand it’s just a piece of garbled code that doesn’t really do anything, at least that is what one trader told us. Apparently the so called “algorithm” that was developed just eats up your money and gives it to the broker, and all this happens in less than a New York minute. That’s pretty much non-existent. At least with the Zulander Hack you have someone responding to your questions even if they are just out to get your money. With GTM they will completely disregard you even if you tell them you want to fund a trading account with $1,000 – they just won’t budge. If you have received Emails from Binary News Profits, Insider Binary Options, Ichimoku Binary Robot, Verified FX, Amazing Selector, Limitless Bets, or Binary Trader Pro, you are getting spammed by the best criminals the binary options industry has to offer. Recent scams include the malicious Tauribot, Citidel LTD, Centument App, Phoenix Trading, Channel Ranger, The Free Money System (Walter Green), and Insured Profits with Dave and Ginny. Savvy marketers are now using IP targeting technology which verbalizes the country you are logged in from. So if you are logged in from Oslo let’s say, you will be hit up by an actor that is saying “special offer to all Oslo residents”.Don’t be fooled by this dirty scam tactic, it’s just a trick affiliates use to get across as more personal. This app scores a big fat zero across the board. The only genuine, honest, or legit attempt on their side is their insatiable appetite for scamming you out of your money. There is not one thing there that I can say is real and has communicated with me. Of course, as always the case with these scams the broker selection process is forced upon you and there is no way you can conduct effective research and choose your own broker. The trading tools are the most important tools you will ever need when trading binary options online. If you are looking for a bot I will only recommend Virtnext since it is the one tool that has been proved to generate money consistently. 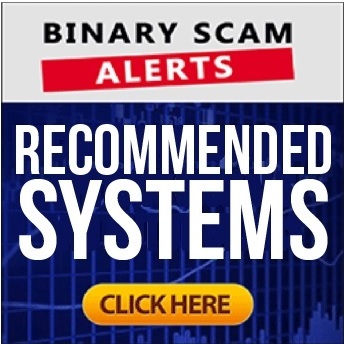 If you are really looking to make money you need signals, and binary scam alerts is whole heatedly recommending the binary profit method proudly advertised on this site. 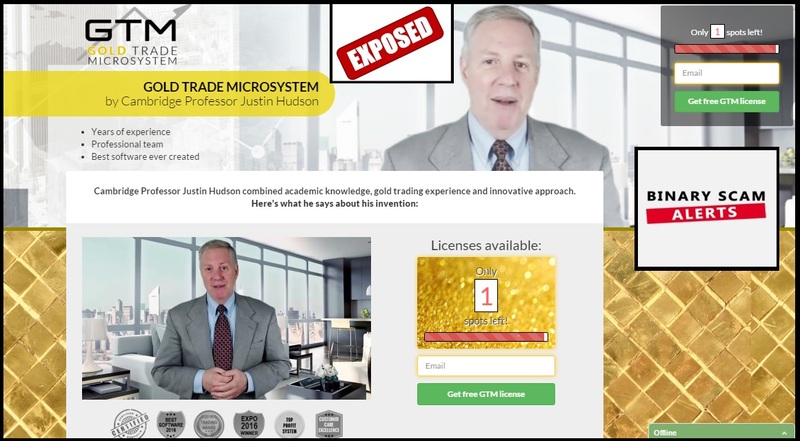 The Gold Trade Microsystem (GTM) and Professor Justin Hudson is a nasty, malicious little scam. Don’t download or install the software, and definitely don’t volunteer your credit card information to some sleazy sales rep in an offshore call center getting paid minimum wage.